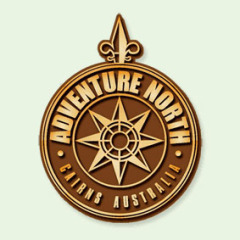 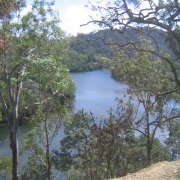 Adventure North Australia was founded in 2004 by Maryanne Jacques who has worked in the tourism industry for 35 years. 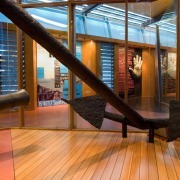 Adventure North Australia is proud to be part of the Bama Way Aboriginal Journeys, an innovative partnership between three highly acclaimed Aboriginal-owned and operated businesses. 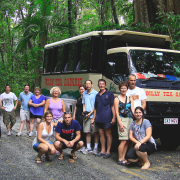 Each of the tours are personally scheduled and arranged by a small team of staff. 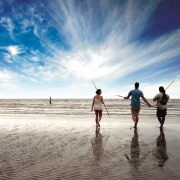 In February 2012 they celebrated their 10,000th guest on board Adventure North Australia. 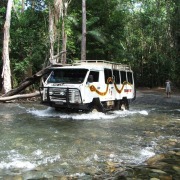 Adventure North Australia operate purpose built 4WD vehicles for off road touring. 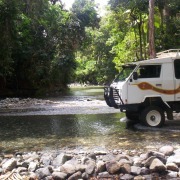 The vehicles are air conditioned, have large windows for maximum views and fitted with seat belts. 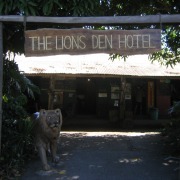 They are designed for comfort and small personalised tours.